This is a central nervous system disorder which is characterized by a disturbance in the nerve cell activity in your brain. This disturbance manifests itself in the form of a seizure during which one experiences abnormal sensations and exhibits abnormal behaviour. 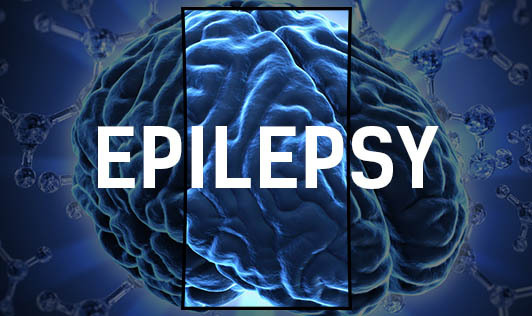 The symptoms may vary and some people with epilepsy simply stare blankly for a few seconds during a seizure, while others twitch their arms or legs. The symptoms usually vary depending on the type of seizure. • Infectious diseases such as meningitis, Aids, Viral encephalitis. • Head trauma that occurs due to an accident or other traumatic injuries. • Brain conditions that cause damage to the brain such as strokes and brain tumours. • Prenatal injury, such as an infection in the mother, poor nutrition or oxygen deficiencies. • Developmental disorders such as autism and neurofibromatosis. • There are few types of epilepsies which are categorized by the type of seizure one experiences that runs in families. In such cases, it's likely that there's a genetic influence. Please seek medical advice if you experience a seizure for the first time!